The February challenge has come to a close. Sometimes it was simple. Sometimes it was difficult. It was always fun. 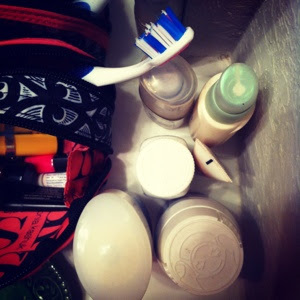 I especially loved seeing what other people were sharing each day. I have a couple new blogs I'm subscribing to because of it. I made a couple new connections. 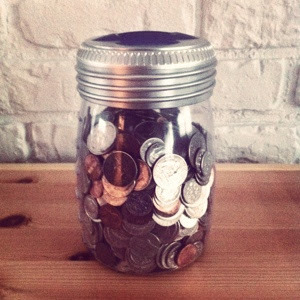 Thanks to Fat Mum Slim for creating and hosting the #FebPhotoADay challenge. I will absolutely do it another month... although March already seems to have started running away from me. Maybe I'll jump in again in April. In the mean time I'll just sit back and see what everyone else shares for #MarchPhotoADay. Um... I was on vacation. I didn't actually have my bathroom cabinet with me. So, this is what WOULD have been in my bathroom cabinet... if I was home. So you actually get a picture of "on my mom's guest bathroom counter". Again, I was still on vacation. 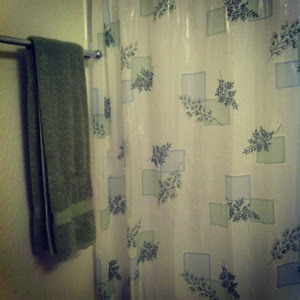 Green seems to be my mom's color of choice for decorating lately. 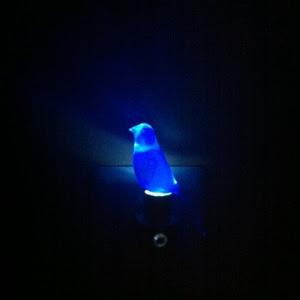 "Blue canary in the outlet by the lightswitch, who watches over you..."
I couldn't resist buying this night light (well, 2 of them actually) as soon as I saw it. It makes me happy. It makes me think of my college friends. Not what I planned for breakfast that day. Sometimes you get what you get and you don't get upset. 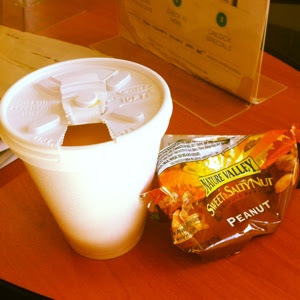 I ended up at the car service center unexpectedly... and I'm just grateful that the Honda dealership has their lovely coffee maker and a variety of breakfast/snack bars. It's just about time to go cash in. I'm always surprised by how quickly pocket change adds up. The day Davy Jones passed away. 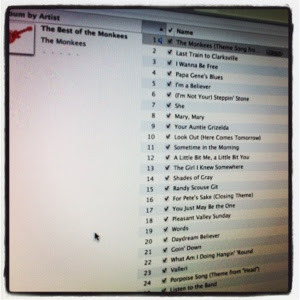 When I was little I used to love watching The Monkees show. I used to have quite a few cassette tapes too. I just had to get on iTunes and buy this album again.